The introduction of British rule in the CapeColony in 1806 led to dissatisfaction among the fiercely independent Afrikaners (of Dutch descent), resulting in an exodus of Voortrekkers to the hinterland, where they aspired to govern themselves and maintain their cultural identity and language. Deeply religious members of the protestant order, they considered themselves akin to the children of Israel seeking their promised land. In 1838 one of these groups under Piet Retief chose to cross the DrakensbergMountains and enter Natal where their leaders had already made contact with the group of English adventurers and hunters that had established themselves in Port Natal (Durban). The English informed Retief that before acquiring land in Natal he would need to negotiate with the King of the Zulu, Dingane. Retief and members of his party therefore paid Dingane a visit. Dingane was already suspicious of the white men, particularly after news of the way in which another party had driven off an attack by the Ndebele, who had their origins in Zululand and was perplexed as to what action to take. He therefore tasked them with recovering cattle stolen from him by another powerful chief by the name of Sikonyela, hoping that Sikonyela would remove them as a threat, but Retief and his men completed the task with relative ease. This placed Dingane in a dilemma and during Retief and his party’s subsequent visit, he had them killed. The Zulu King then unleashed his warriors on the various groups of Trekkers who by now had moved down into Natal in anticipation of obtaining land. Over the period 12th to 19th February 1838 several hundred Trekker families were killed before the remainder were able to regroup and beat off the Zulus’ attacks. The Trekkers then formed a commando to seek retribution and to try and recover some of the stolen cattle but they were ambushed in the eThaleni Valley and forced to flee leaving young 14 year old Dirkie Uys to die fighting alongside his father. Eventually a stronger force, led by Andries Pretorius, was constituted and the Zulu army was defeated at the Battle of Blood River on the 16th December 1838. Dingane fled his capital Mgungundlovu and was eventually defeated by his half-brother Mpande at the Battle of Maqongqo in 1840. 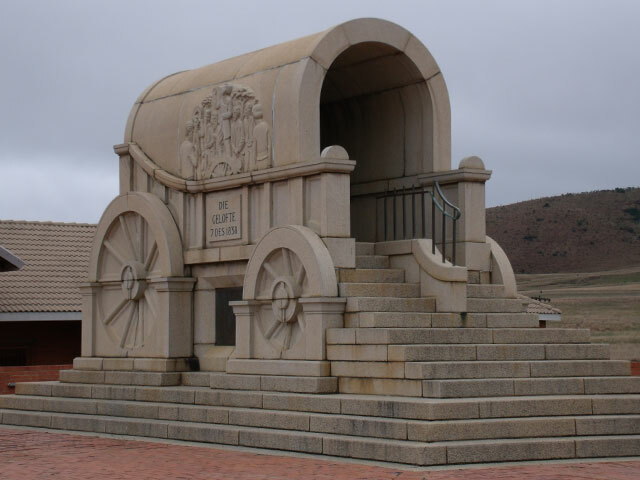 For more information about each site see Voortrekker – Zulu Wars.